"Love is what I preach. It's a universal language"
Iba Mahr is sat in the backstage area of Garance Festival 2014, eating potato chips. He is wearing diamond socks, and Wallabee Clarks – the fashion items detailed in his summer single, produced by Notis, Diamond Sox. Over the four day event in Bagnols-sur-Cèze he will grace the main stage not once but thrice. Following his own set - backed by countrymen Dubtonic Kru - the young Jamaican, whose stuttering singjay delivery recalls a calmer, humbler Jacob Miller, is to be summoned as a surprise guest of both Alborosie and Anthony B. Not bad for an artist who has yet to release an album to the public. 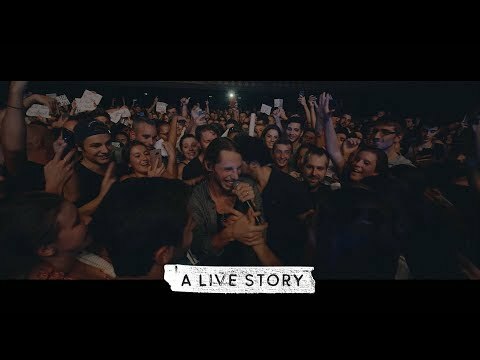 “I’ve always heard about France and now I’m here to experience it for myself” he explains between crunches, when asked how it feels to be visiting a cockpit of European reggae for the first time, “I’m blown away”. The salty snack he is eating might seem an incongruous accessory for a cultural reggae chanter. But to those conversant with the realities of touring life - where ital and vegan food can never be guaranteed - the chips are a necessary compromise for the Rastaman on the road. Food figures strongly in the nomenclature of Iba Mahr’s upbringing. He was born Mario Greaves and grew up in the village of Cheesefield, St Catherine. Cheesefield is near to Linstead, whose market inspired the mento folk song where a typically longsuffering narrator tries to sell some ackee fruits and only manages a few pennies in return. 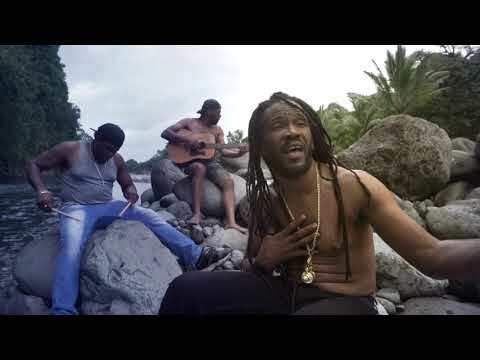 Not that Iba Mahr over-plays the hardships of the locale. Like many a country youth, Mario was raised by his grandparents. His grandfather, Vincent, had sound system named Majestic to which the future Iba Mahr remembers dancing to 70s classics such as John Holt’s cover of Tim Hardin’s If I Were A Carpenter. After high school Mario enrolled at U Tech to study computing and management – a decision that gave the budding songsmith grounding life skills. My career as a computer technician – music took that all away! His first opportunity to record came through the veteran Max Romeo. “I linked him from a brethren called Cologne – who lived in the same community. We went there for three days and we never got a chance to record. Then on the third day we recorded, and interestingly the engineer at the time was the guitarist from Dubtonic Kru who I was just playing with on stage. He said “Max, Max, Iba have a sound”.” The result was the philosophical 2008 debut, Had It and Lost It on Romeo’s famous I Chase the Devil rhythm, the rookie’s distinctive timbre swamped in Autotune. 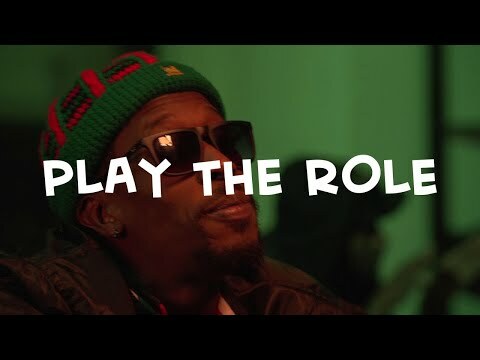 “From that time we just got the opportunity to meet Fatis Burrell and more producers and artists like Jigsy King.” His second single, Where You Are, was for Burrell’s X-Terminator Records and found Iba still discovering his voice, sounding very like Lutan Fyah. 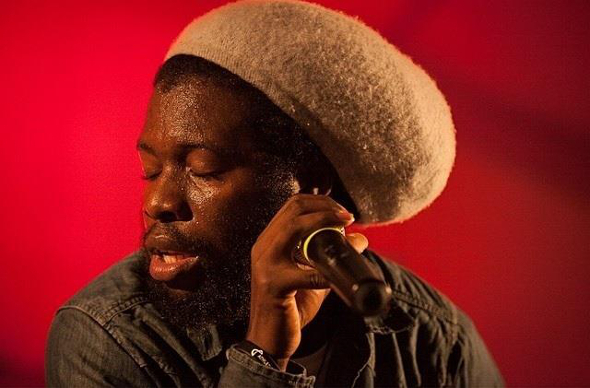 Dates are as important as names and places in Iba Mahr’s consciousness. The day before our interview was Haile Selassie’s birthday – did he commemorate it in any way? Since then Iba has recorded several singles that could be classed as good roots music. These include Will I Wait In Vain, Sound A Alarm and Babylon Debating (all produced by his main rhythm maker Roland McDermott). 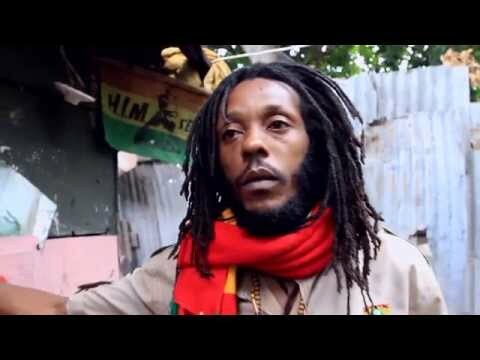 Most were laid at Bob Marley’s Tuff Gong studio where Iba Mahr has a good link for session time. “Yeah, very interesting man. So many songs are really an energy that’s connected with Tuff Gong. I’m not sure if Bob Marley spirit is there but…” he breaks off into a laugh. 2011’s Will I Wait In Vain was Iba’s breakout hit and was featured on VP Records’ Reggae Gold compilation series the following year. It’s a lovers’ lament which showcases that now familiar stuttering cadence. His vocal style is difficult to categorise into deejay, singer or singjay, and he doesn’t try (“I think I should leave it to the people. There are too many different arts, different crafts and different styles”). Hard roots tune Babylon Debating was also distributed by VP. A scathing rebuke to the system as a whole, it actually had its genesis in local issues. The conversation turns to 80s style dancehall track Diamond Sox built by Unga Barunga and Jason Welsh, the drum and bass duo Notis. Since the summer it has spawned a remix with Tarrus Riley. United Reggae notices that in addition to the aforementioned argyle golfing socks and Wallabee Clarks shoes he is even wearing a Diamond Sox T-shirt. According to Al Fingers’ 2012 book Clarks in Jamaica, the Clarks Desert Boot was based on a design soldiers requested in Egypt – so in a way Clarks come from Africa? Diamond Sox is another tune that was written and knocked out in a hurry. This seems a good moment to press the obvious question. Given the speed at which he writes, why is no album out yet? Will the album feature the work of one producer or many? As well as Notis and Roland, he’s done some strong collabs with Winta James of Ovastand Entertainment. 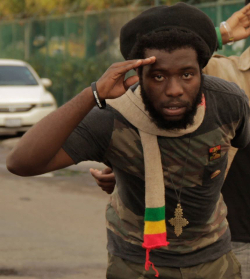 Later in the evening Iba will join Alborosie on stage. 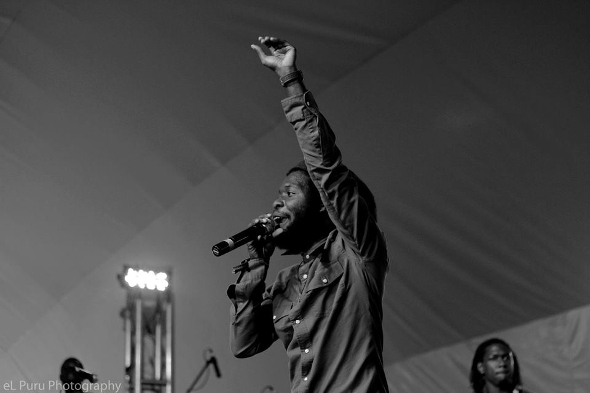 Is Jamaica still a dancehall country, as Albo told United Reggae in 2013 - when we asked about the new crop of Jamaican roots artists like Iba Mahr and Chronixx? It’s time to finish up the interview. What has been greatest struggle in his career? Max Romeo always said "Do good music. Don't just do music"
And what is the single driving message of his songs? Yes, we were hoping to hear more about the album, we confess.